Secure, Fast Shredding at Your Location — As Soon As Tomorrow! Do you need confidential files or papers shredded quickly and securely? Call us today! We can come to your Medford MA home or office as soon as tomorrow. We’re available Monday through Friday, so you can set a time that’s convenient for you. Ready to Make an Appointment? Here’s How! We know that everyone’s needs are different, and we’re here to help you pick the right service for your situation. Simply contact our office and we’ll walk you through the options we offer. Schedule a time that’s convenient for you, and then we’ll give you a quote right away. We Come to You — Fast and Secure! With A1 DATASHRED, you don’t have to wonder what happens to your confidential papers during the shredding process. Our uniformed staff have IDs and are easy to identify. We come to your Medford MA location, so you can watch the whole procedure. Your files are placed in one of our bins that are locked once filled. Then the bin is taken to our trucks and your papers are immediately destroyed. You can watch your records being emptied into the shredder and destroyed on our specialty screen on the side of the truck. One-Time Shredding – When you need to securely shred business records periodically our onetime service is right for your company. You can contact us to set up an appointment once or once in a while, and we’ll take care of it. Just let us know when you need us again! Scheduled Shredding – If you discard confidential corporate documents on a regular basis, you might want to set up a regular schedule to have your documents shredded on-site. It is easy and fast to implement. We place our locked containers in your office so you always have a secure place to throw away documents. We then work with you to set up an automatic schedule that can be weekly, biweekly, or even monthly. Then we come as scheduled to empty and shred the contents of each container. It’s surprising how many confidential documents you have in your home that you no longer need. From credit card offers to outdated tax returns, you need to keep your information secure. Identity thieves are a big problem, and a small shredder can only handle a few sheets at a time and just putting them in the garbage can cause years of problems if your documents get into the wrong hands. Protect yourself and save yourself hours by having our residential shredding services come to your home and destroy all of the personal papers you no longer need. Recycling old computers is a great option, but there’s a lot of data on your hard drive that could fall into the wrong hands. Give yourself peace of mind with on-site hard drive destruction. We record the serial number and give you a certificate to verify that your hard drive is physically destroyed. Unlike an erased hard drive, no recovery is possible! When professionals arrive at your home, you shouldn’t have to wonder who they are or what company they work for. Our staff wears easy-to-identify uniforms and each person has a photo ID badge. We care about our customers, so we do background checks and drug screens on each employee annually. Each staff member is well trained and must sign a confidentiality agreement. Get the peace of mind you deserve! Not all shredding services are created equal. Giving your confidential documents to someone is stressful, and you deserve only the best.  A1 DADTASHRED is a AAA Certified document destruction company with the National Association of Information Destruction (NAID). This means we handle everything with great care and abide by top-level security protocols. Choose only the best for your shredding needs. We know there’s a lot of concern about the environment, and no one wants more waste in landfills. Everything we shred gets recycled and used in products like paper towels and other paper goods. In fact, every ton of documents we shred saves 17 trees! When you choose A1 DATASHRED, you’re getting a top-quality service that’s great for the planet as well. Give us a call to make an appointment today! We’re excited to serve you.